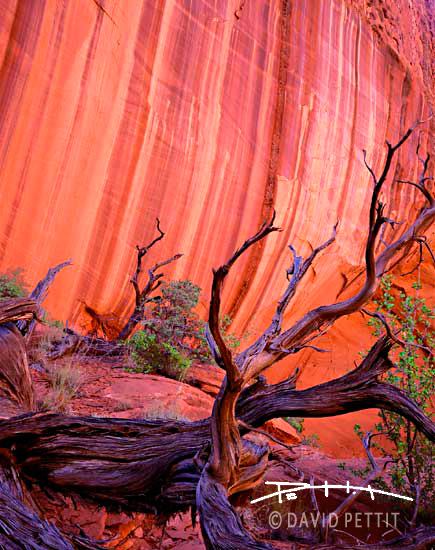 Grand Staircase-Escalante National Monument, Utah. In this companion piece to “Long Canyon", desert varnish accents the sizzling reds of Long Canyon’s west wall. All images copyright David Pettit Photography. Images available for use only with written permission.